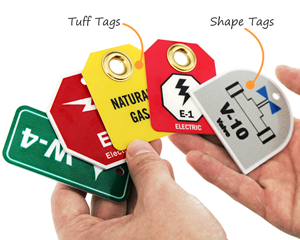 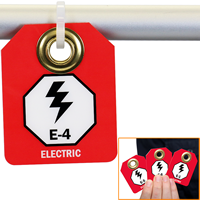 Identify different electric energy sources in your facility with our numbered Energy Source Identification Micro Tags. • Bright red tags are printed on both sides. 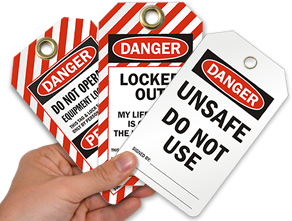 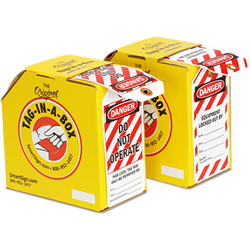 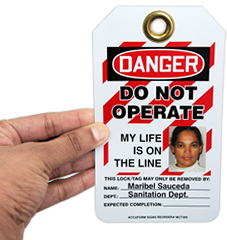 • 30 mil thick laminated plastic tags come with pull-proof grommet.